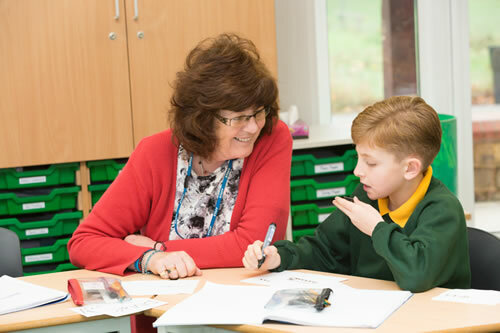 In Class 4, our year 5 and 6 pupils continue to build upon their strong foundations and recognise as learners how important it is to make and learn from mistakes. They take an increasingly active role within the school as prefects and support younger pupils through our Foundation Stage buddy system. Pupils are also encouraged to challenge themselves through competitions such as The Exmoor Challenge where teams of four walk a distance of 16 miles in one day. Other projects, such as The Jaguar Challenge allow our pupils to use new technologies and engage with the wider business community. At the end of Year 6 we expect our pupils to be ready and willing to meet the exciting new learning opportunities which await them in the future.